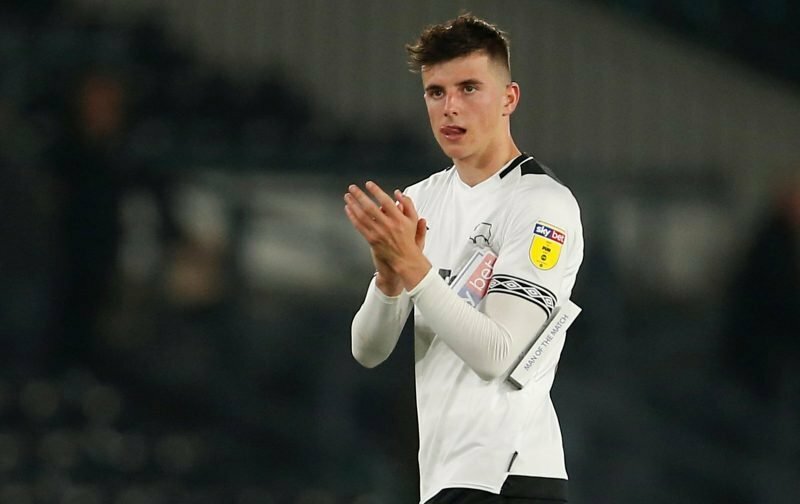 If proof were ever needed that the loan system can work wonders for a player, then look no further than Mason Mount. The talented midfielder is spending this season on loan at the Championship side, Derby County. Before being struck down by injury, the 20-year-old had shown that he had the potential to become a future star of the game with his play, for Derby County, earning him a call up to the full England squad. But, come the end of the season, Mount will return to Stamford Bridge and it remains to be seen which direction his career goes next. Many would like to see the youngster given a chance at Chelsea, but we all know how hard it is for a talented youngster to get first-team time at Stamford Bridge. Which opens up the possibility of Mount spending another season out on loan. Today, the red-top publication, the Sun, is championing the suggestion that Bournemouth are interested in signing the youngster, on loan, thereby giving Chelsea the ideal opportunity to see how Mason fares at the highest level in English football. Another source, The Boot Room, is suggesting that if Leeds achieve promotion to the Premier League, from the Championship, then Elland Road might be a good next career step. Should Chelsea give Mason Mount the opportunity to go out on loan to a Premier League club next season or is the time right to blood him in our own first team?